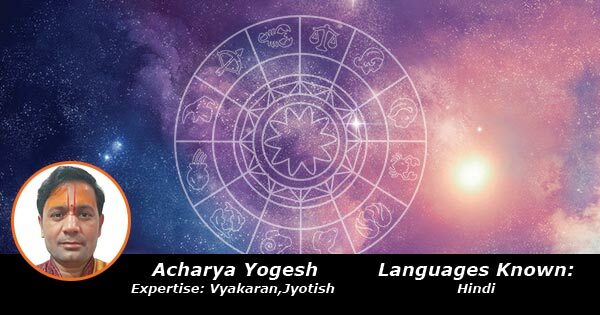 Acharya Yogesh has vast experience of 18 years experience in Indian astrology. In order to pursue his passion for astrology, he has completed Astrological study from Laxman Das Sanskrit University. Through phone counselling and personal consultancy, he is helping many people from all over India to resolve problems in various walks of life that they face in their life. He is a dedicated astrologer whose advice and suggestions are received by many people with high value and they find peace in it. He is specialized in Vyakaran and Jyotish falit.